We are delighted to launch our newly designed website – a fresh new look, easy use and access to all your enquiries. We are also excited to let you know we now have an affiliation with Newcastle Weekly, a glossy news and lifestyle magazine. It is the most widely distributed, picked up and read publication across Newcastle, Lake Macquarie, Maitland, Cessnock and Port Stephens – and it’s free! You can get your copy every Thursday almost anywhere! 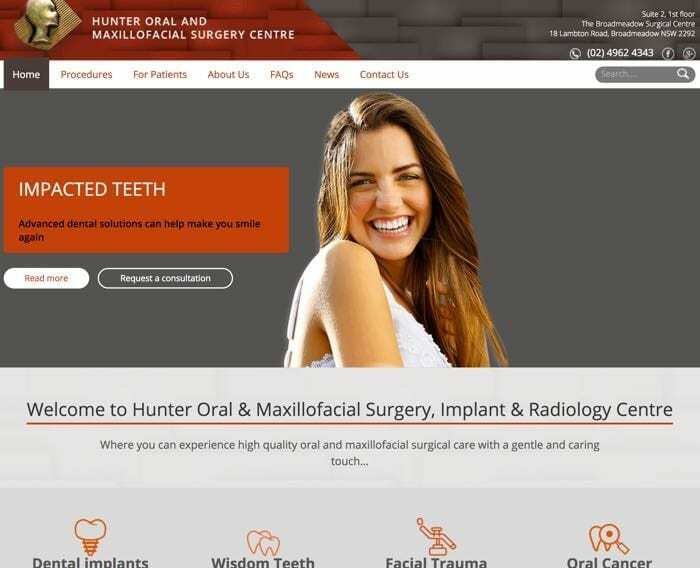 Watch this space for up to date info on what is happening at Hunter Oral & Maxillofacial Surgery, Implant and Radiology Centres or contact us at any time. zipMoney Payment plans options available. At Hunter Oral and Maxillofacial Surgery Centre we strive to provide you with high quality oral and maxillofacial surgical procedures so you can benefit from a healthy and functional mouth for the long-term.